After taking a Myers-Briggs personality assessment, I found out that I’m an INFJ, and I’ve since developed a very close affinity to the label. Not that I like being boxed into a category, but more that it made me feel less self-conscious about the way I am and how I view the world — especially having gone through life feeling a little odd and different from others. My life made even more sense after finding out that the INFJ male is one of the rarest gender/type combinations. It might even be the rarest, as INFJ males are thought to make up only 0.5 to 1 percent of the population. They’re only rivaled by INTJ females, who are estimated to be a similar percentage of the population. Originally, I put down my “differences” to my hearing loss. I didn’t want to socialize in noisy or busy environments because I have trouble following conversations. But I always thought there must be something else, because I don’t fit the traditional male role. I’m a teetotaler, not into team sports or football, and I enjoy a quiet home life. All seemed counter to what my male friends were like. As a result, school was a quiet, lonely affair, and I ended up focusing solely on my studies and work. Many INFJ men have traits that are contrary to the male stereotype, and many have learned to hide those values under a bushel of shame, therefore being untrue to themselves. In turn, this leads to feeling trapped, disingenuous, and often unhappy. However, once INFJ males learn to embrace those traits and ignore what society expects of them, they’ll start to shine. In my experience, INFJ males can be an enigma of sorts, living a life full of contradictions. Here are just ten of the many contradictions of the INFJ man. Some of them are very specific to the male gender, while others may be experienced by female INFJs to varying degrees as well. 1. We’re not materialistic, yet we desire to surround ourselves with quality and beauty. This isn’t to prove that we have the best stuff or to show off, like some men do. Rather, the INFJ man finds value in being surrounded by beauty — which is not necessarily the most “macho” of traits. We rarely desire things, but when we do, we’d rather have the best of it, or go without. This is because many INFJs experience what I call “all-or-nothing” syndrome. 2. We want close relationships, but we don’t want to make the first move. Like any other introvert, the INFJ man rarely enjoys being the center of attention. We can often be found gravitating toward the walls of any party or get-together — and that’s only if you can get us there in the first place! That said, we still crave an emotional connection and in-depth conversations with others, and in order to experience that, we need to meet new people. Typically, men are expected to take the lead and make the first move, however, the INFJ male’s quiet, reserved nature means we rarely approach others. 3. We care about how we look, but we hate superficiality. The “typical” man isn’t into fashion or looks, but many INFJ males enjoy looking good and taking care of their appearance. We know we live in a predominantly materialistic, superficial, extroverted world, which is in direct opposition to our true nature. But in order to be noticed or get ahead in life, INFJs understand that we have to accept and embrace some societal ideals. Once we get past thinking we need to fit in, we’ll delve into the deeper and more emotional side of things. This is why you might see INFJ males who are into health, fitness, and fashion but also more “intellectual” subjects like philosophy, art, science, and psychology. 4. We may come across as moody and cold, but we’re actually very sensitive and emotional. As introverts, we INFJ men are very much in our heads. We’re forever thinking about anything and everything. As a result, INFJ males can be distracted from the outside world and the people in it. This complex and constant internal dialogue we experience — along with the dissociation from the outside world — can result in the appearance of a moody and cold demeanor. But our depth of thought comes from a deep, sensitive, emotional place. Unfortunately, only those who get close to us see and experience this side of us. Society beats men down for being empathetic, emotional, and sensitive, so we may keep this part of ourselves hidden for fear of ridicule. 5. We’re all or nothing, rarely in between. Although the “typical” man is supposed to be confident and in control, we INFJ males might lose ourselves to extremes and to our passions. This is a result of our traits of perfectionism and idealism. We’d rather do things well or not at all. And I think this applies to most aspects of the INFJ man’s life. We love completely or not at all. We get the best products or we don’t bother. We train hard and eat healthy, or you can find us on the sofa eating Ben & Jerry’s, chocolate, and pizza. (Okay, that last one is me, but I suspect many INFJ males have similar idiosyncrasies). We rarely do consistent or middle of the road for long periods of time. Although we think we want things to be organized, planned, and steady, we also have a thirst for learning and discovering new things — and that requires constant change. This is another reason we might confuse others, as we can go from one extreme to the other in a split second, seemingly without any reason. 6. We’re understanding and empathetic, yet incredibly stubborn. The INFJ personality is often referred to as “the counselor” or “the confidant” because of our empathic, intuitive nature. (How many men do you know that would describe themselves as empathic?) That said, like all INFJs, our strong intuitive capabilities mean we trust our instincts above all else. This may result in a stubbornness and a tendency to ignore other people’s opinions. We believe that we’re right, and we usually know it! 7. We rebel, but we also want to be accepted. We rebel against a society that promotes the very things our moral compass goes against (rules, extroversion, freedom, materialism, superficiality). Yet we strive to be accepted, understood, and welcomed by others. We have a tendency to be solitary, which often results in an unfulfilled need for deep, trusting relationships. Men are supposed to be okay with being independent, but for the INFJ male, those emotionally intimate relationships are crucial. This is what our friends, family, and significant others say about us. 9. We’re feminine, yet masculine. 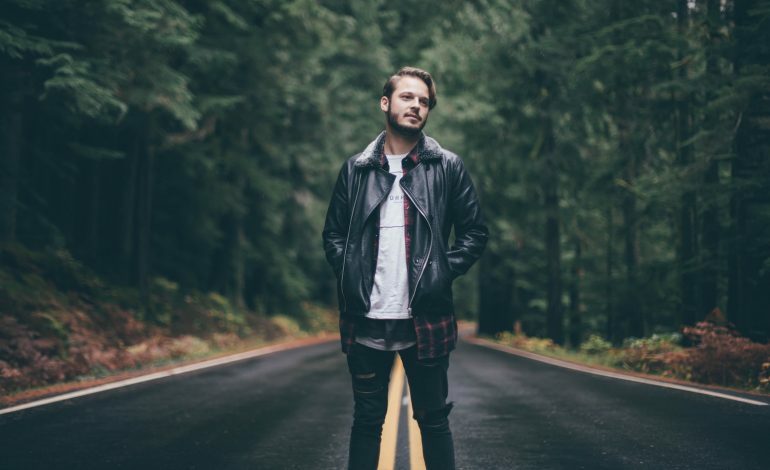 Especially once we’ve embraced our emotional nature, INFJ males can encompass both stereotypical feminine and masculine qualities, depending on the situation. This is why INFJs are sometimes referred to as social chameleons. I recall family Sunday dinners: I’d be the one helping out with the cooking, washing up, etc., while the other men in my family would be busy watching football. Interestingly, many INFJ males often relate to women better than most men, because women see and accept our sensitive, emotional side. But it’s not unusual for INFJ men to have great difficulty developing romantic relationships. Again, this is due to our perfectionistic and idealistic nature, as well as the decision to never settle for a relationship that doesn’t meet our high standards. It’s also fed by our solitary, introverted nature and a deep fear of rejection. 10. We’re hopeless romantics, but with a dirty mind. Some of these traits are things a lot of people will relate to, and every INFJ is going to be a little different. If you can relate to most of them, however, chances are good that you’re an INFJ. Want to be one hundred percent sure? There’s an easy way to find out: Take this free personality assessment from Personality Hacker and see your personality type in minutes. A version of this article was originally published on Misterp.ink. What Is the INFJ Door Slam, and Why Do INFJs Do It? This article contains affiliate links. We only recommend products we truly believe in. Hard-of-hearing INFJ dad with an entrepreneurial streak. Designer, artist, retailer, marketer, philomath, fitness fanatic and foodie. Lover of metaphysics and .